You probably know this one already, but it is worth repeating. When it comes to Brexit, no one has any idea what is going to happen next. There is no reason to panic but all the more reason to be well prepared! Whether you are a Dutch or foreign business with activities in or through the UK or vice versa. Or a British citizen working in the Netherlands. Or a non-British citizen working in the UK. It is clear that Brexit will have certain implications. For everyone involved, including our governments, however, it is difficult to fathom these implications. The general consensus is that there is a need to do “something”. But what, no-one knows what is going to happen. For businesses, ideas range from the incorporation of new entities for distribution purposes, to moving the business as a whole to another country or do nothing at all. For individuals, ideas range from obtaining or losing their UK citizenship (if possible at all) to actually moving with their families to another country. Whatever the decision may be, the impact on businesses and personal lives may be huge. At this moment too little information is available to properly assess each individual situation and to already make a sound decision either from a business or personal point of view. In our view every situation is different, so there is nothing available like a one-size-fits-all solution. However, businesses should and can be prepared for the worst. Perhaps nothing will change (which is highly unlikely). But, is it not better to arrange for a possible practical Plan B well in advance to minimise the possible implications Brexit will have on your business? For example, do we need an alternative distribution hub outside the UK to safeguard our gateway into the EU? The answer maybe that the business prepares for the incorporation of a Dutch entity, or already incorporates that company, have all licenses and contracts available to be executed within 24 hours. So after Brexit it can be business as usual with some preferably small adjustments. At this stage it may be worthwhile investigating the possibilities to obtain a similar statement under the bilateral UK-Dutch social security treaty to determine the implications for the employee’s net salary or employer’s salary expenses after March 29, 2019. After Brexit, the UK is no longer a party to the various EU Directives aimed at reducing tax burdens within the single market, notably withholding taxes. Whilst the UK does have an extensive network of double tax agreements to fall back on, not all eliminate withholding taxes on payments of dividends, interest and royalties between the taxpayers in the UK and EU Member States – some only reduce the rate of withholding tax that needs to be applied. If e.g. 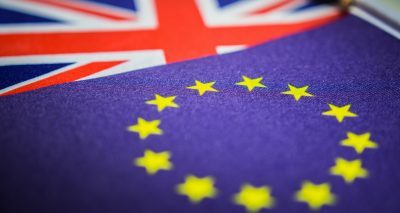 royalty payments from the UK into the EU will become subject to UK withholding tax at 20%, businesses may already want to investigate the possibility of compensation through ‘grossing up’ clauses in legal contracts. This may be the case or not, nobody knows today. In order to obtain a Dutch work and residence permit for non-EU nationals, various possibilities exist. Some of these imply a registration of the Dutch employer as authorised sponsor with the Dutch Immigration authorities. This may take 6-8 weeks and you can consider arranging this already “just in case”. Drafting a Plan B in your specific situation may not be an easy task due to the existing uncertainty and lack of information. And yes, you will have to spend some time and money to do this now, but this may appear to be well spent if it safeguards your business. If you don’t need to execute Plan B, the money and time spent on it appears to be wasted. However, what would be the price if Plan B was not considered and could have saved your business? On an almost daily basis our experts are working together with our foreign partners around the world performing Brexit scans for our clients. We quickly analyse your present business and your activities in/from/through the UK. Based on the possible Brexit scenarios, we provide alternative solutions or routes, if appropriate. Following our scans we may provide alternatives for practical action plans in order to have your Plan B ready as an on-the-shelf solution on time. 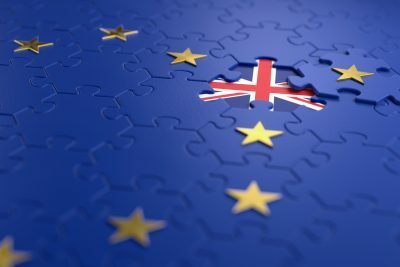 Last, but certainly not least we will be happy to assist you ensuring that your Brexit business model is fully geared up and can be up and running in no time after March 29, 2019.